Home > Ask Our Experts > Dental Repairs - What is the General Expiry? About 2 months ago I went to a local private (non NHS) dentist for some scaling. With this practice I had to first register for an assessment during which they pulled strongly underneath my fillings and crown - so strongly I had to physically tense my neck to prevent my head being pushed back. At the time I thought this testing somewhat unusual, however I assumed she was attempting to test the strength of the dental adhesive bonds. I think the "testing" may have loosened a filling. Recently one became initially very loose and now has broken. I am hoping the cause was not the over excessive "testing" of the tooth repairs; however I do feel unconvinced. There is an argument that even if this pressure was partly responsible - it perhaps only speeding up the inevitable. Is it standard practice to perform such rigorous tests on fillings? Also, do dental repairs have an expiry time window? The answer to how long fillings last for will depend on a number of factors. For instance larger fillings that are frequently used when chewing tend to break down quicker than smaller fillings that are rarely used. A very small filling at the front of the mouth that does not have much stress placed on it can last for decades. A large filling that takes force on a regular basis may only last for around five years. People who grind their teeth can find that their fillings will also last only a few years, which is why crowns are supplied. The type of material used in the filling will also make a difference when it comes to longevity. Amalgam fillings that are made of metal can last fifteen years whereas composite fillings may only last a few years. A dentist should be able to give an indication of how long fillings will actually last for when they are providing dental treatments. Again, the longevity of dental repairs will depend on the type of repair and the material used. However, repairs to the teeth should have a certain amount of longevity. Some dentists actually give written guarantees such as five or seven year guarantee. These guarantees will only apply if the patient undertakes the bi-annual check up and follows a good daily dental cleaning routine. Patients should always ask dentists if they provide guarantees. If a repair was made to a filling and then the filling fell out after only one or two years then the patient may warrant a free or reduced fee replacement. 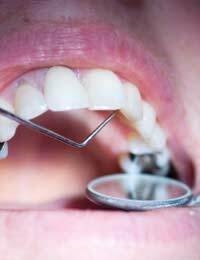 Throughout your dental visits a dentist should be continually checking for cracked, damaged and worn down fillings. This should be an ongoing practice. If you have recently changed dentists then this may be the reason for the more vigorous testing. Amalgam fillings and crowns are very strong and a lot of force would be needed to remove them. However, there have been cases where dentists have been known to use excessive force that has led to dental problems. If you think that this has been the case then you should either revisit your dentist to discuss the matter or seek a second opinion from another dentist.